Well, after a much-needed weekend off last week, I was back at it yesterday. I was ready to cross a couple more courses off my list as I look to 300 and beyond. 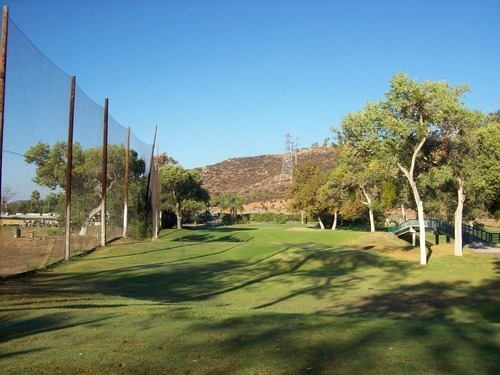 I still have quite a ways to go to reach one of my goals of playing everything in Southern California (and by “everything” I primarily mean public regulation 18-hole courses, though I am sure a few private and/or executive layouts will also end up in there as the years go on). If you haven’t noticed, I try and mix up my patterns. 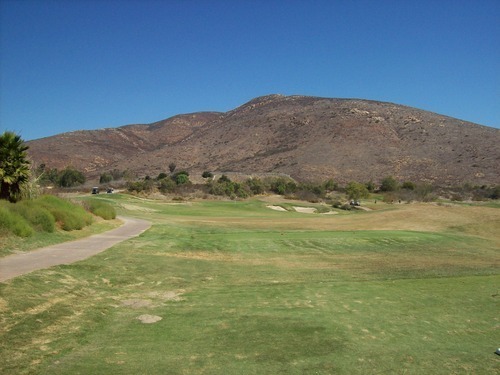 One week, I’ll head down to San Diego County. The next I might go out to the Inland Empire or up into Los Angeles County. 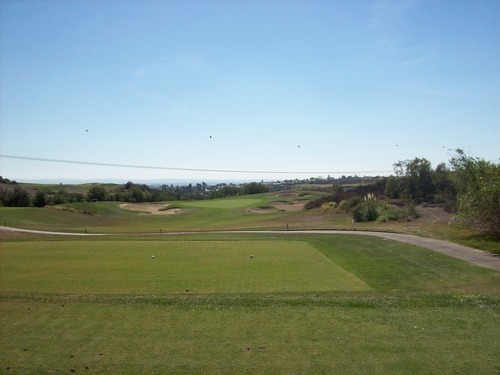 Yesterday, I was back in San Diego as there’s still plenty on my list of courses to play down there. 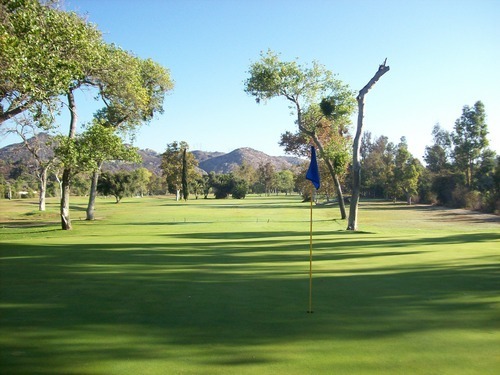 That said, I am running low on affordable courses that have readily available tee times on GolfNow, so ultimately there are a number of courses down there where I’ll just have to try my luck as a walk-on someday. 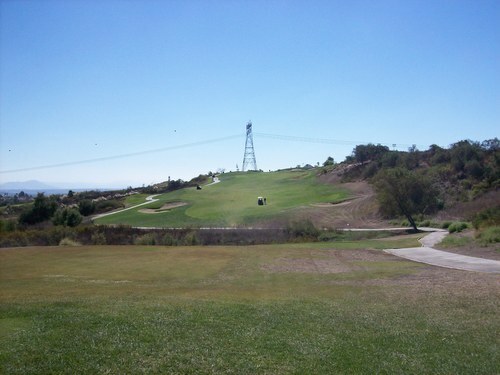 Then, on the other end of the spectrum, there are quite a few high-end courses in SD County that I’ve yet to play. Those I am in no rush to play until I can find a decent deal or a special occasion worth the splurge. 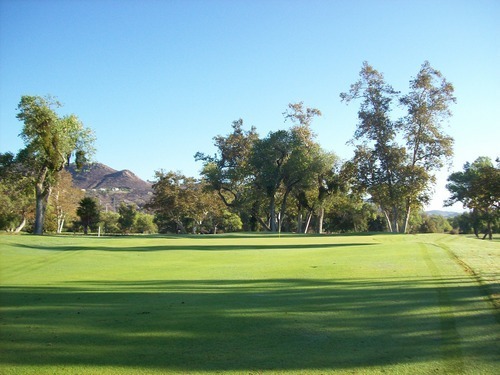 Until then, I still have a handful of courses in the low-to-mid-level price range with ample online tee times available. 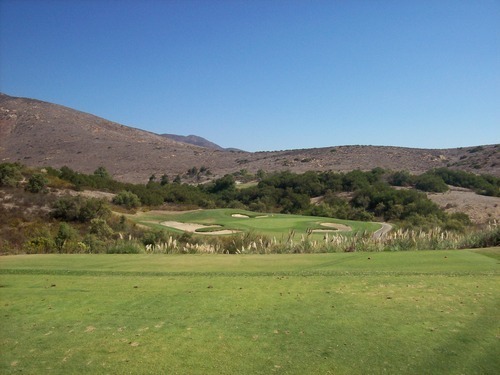 Two such courses are Salt Creek Golf Club and Cottonwood Golf Club, which I happened to play yesterday. 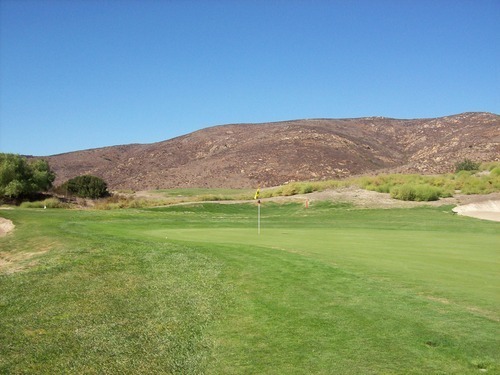 The plan started with a GolfNow “hot deal” at Salt Creek for $41 at 12:09. 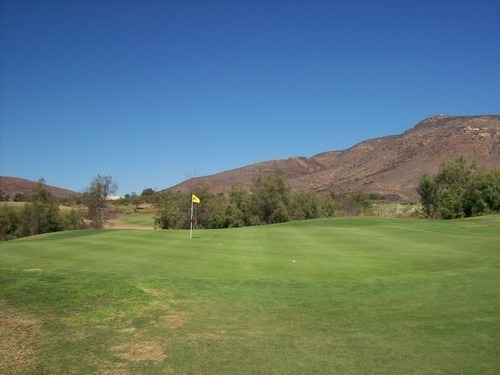 It was the best afternoon deal I found for Saturday, so I booked it and then looked for a morning round. My options were limited, so I more or less settled on Cottonwood. 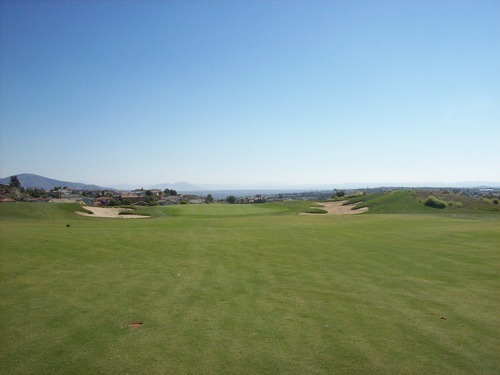 Actually, there are two courses at Cottonwood. 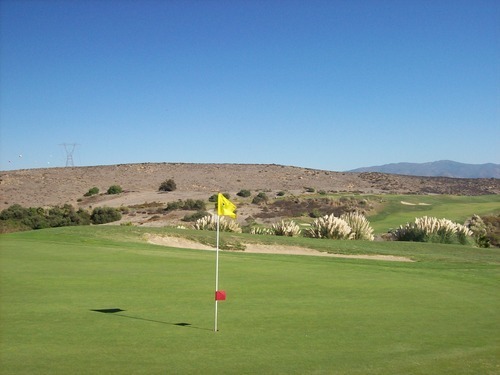 Originally, I figured I would come down and squeeze all 36 holes in one day, but I also knew that these courses were not supposed to be anything too spectacular. I have never been in a huge rush to play either, let alone spend a whole day all the way down in El Cajon to only play these two tracks. So splitting them up was probably a good idea. 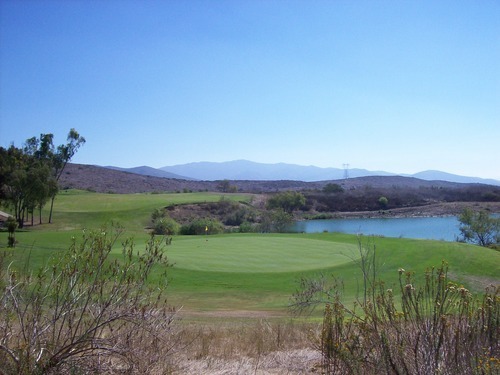 Note: The other course (Lakes) is now closed. 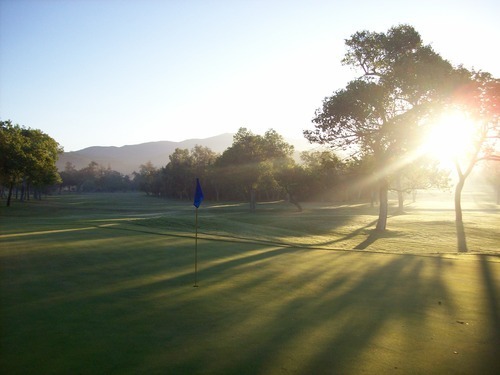 I chose the Ivanhoe course as it is supposedly the better of the two. 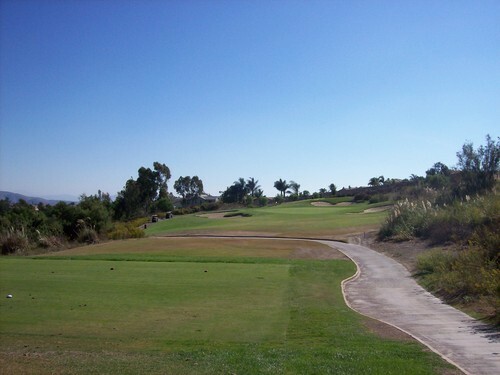 I had booked a 6:30 am time directly on their website and didn’t get any discount (it was $50 with cart), but it really was the only solid option I had if I wanted to play somewhere early and still have enough time to get over to Salt Creek in time for the second round. At a place like this, I know there’s a fine line between a fast and a slow round. In other words, if I tee off at 6:30, I might zip around in just 2-3 hours. If I tee off at 7:00, it may take 4.5 hours. So I always play it safe with the timing. That backfired on me (or so I thought) because I ended up being first off the tee by myself on the Ivanhoe course. 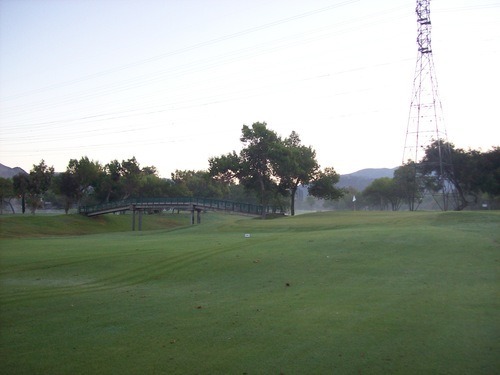 It was chilly, still a bit dark and there was a thin layer of fog blanketing the first few holes as I tried to navigate my way around a course I was not familiar with. 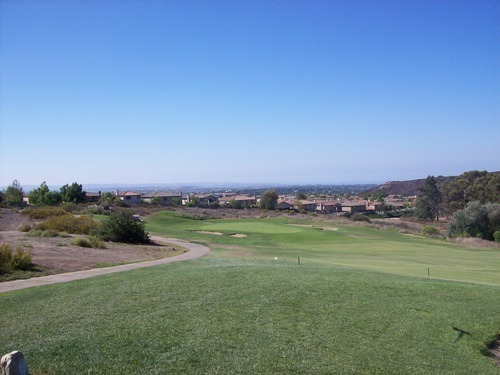 But the sun came out quickly and the fog lifted, revealing a gorgeous day in the San Diego area. The course itself was pretty much as I expected. 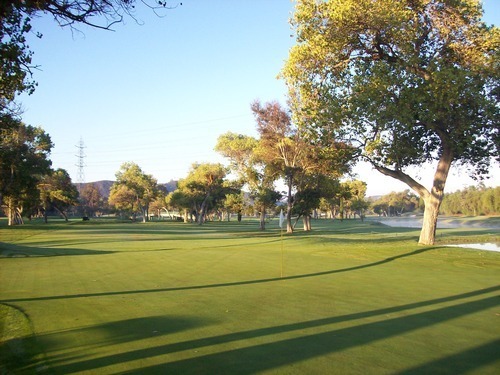 Overall, it’s a pretty flat layout with plenty of trees to shape the holes and determine your approach angles. 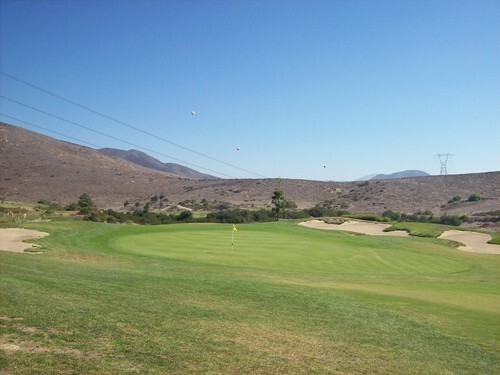 The front nine is pretty uninspiring and powerlines run through many holes, which definitely detracts from what is actually a nice peaceful little setting in El Cajon (the course is actually right next door to Steele Canyon in Jamul, which I played just a few weeks back). The back nine does get more interesting and a bit more scenic. There’s a little ravine that runs through a few of the holes and it was a nice setting on a perfectly clear morning. 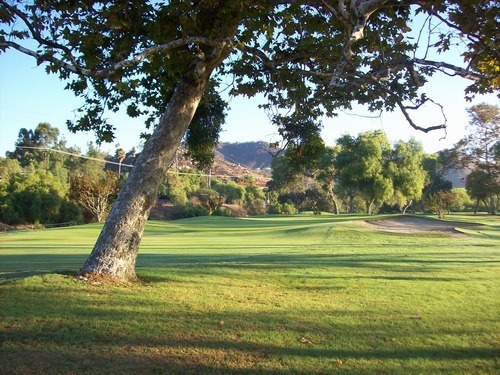 There are a few fun holes here like the 10th, where you tee off over the aforementioned ravine, and the 18th, which is a long par-3 over that ravine (a rare finishing hole par-3—the 9th is one, too, which is unusual). Then, there are some funky holes. The 15th stood out to me as you basically have to hit your tee shot directly over a row of trees to have any shot at the fairway. Very odd, but easier than I make it sound. The course was in better shape than I had expected, which was a plus. I was expecting it to be pretty torn up based on the GK reviews I’ve read, but what I got was a course that was in slightly above average “muni” conditions. 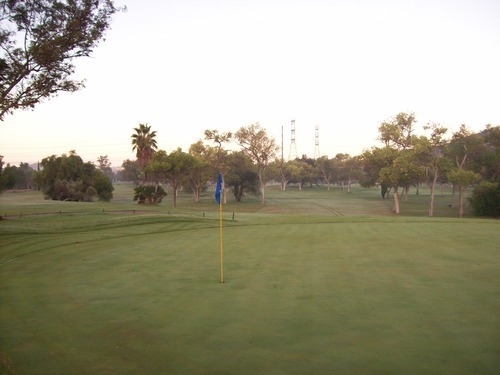 The fairways were pretty green, with some thin and brown spots scattered throughout. The rough was a bit more hit and miss. It was lush and green in some areas, patchy and clumpy in others and just pure dirt/mud in others. The greens looked beat up with a lot of poorly repaired ball marks and some burnt-out sections, but they played fine. 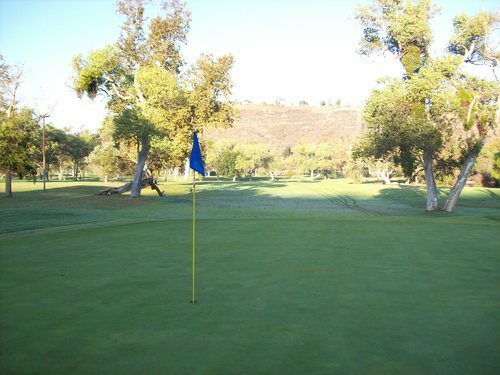 They were soft and receptive on approaches and rolled smooth (medium speeds that quickened as the course dried out) on putts. I wasn’t in any bunkers and there really aren’t many on the course, but the few I looked in were pretty ugly. The sand appeared to be OK, but they were just all messed up with footprints and bad rake jobs. Since I was the first one out, that’s something maintenance could do a better job of cleaning up before the day even starts. Cottonwood (Ivanhoe) didn’t blow me away, but I didn’t hate it either. 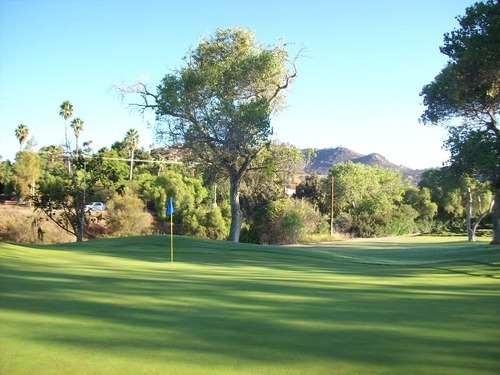 It’s not a course I would go out of my way to play again, but if I lived locally I would take advantage of their deals from time to time if I needed to satisfy my golf urges and didn’t want to spend too much. I got around Cottonwood in a little over two hours, so I ended up with way too much time in between rounds. I stopped at Denny’s for an early lunch (a custom-built turkey burger that was surprisingly good given that it was eaten at Denny’s). 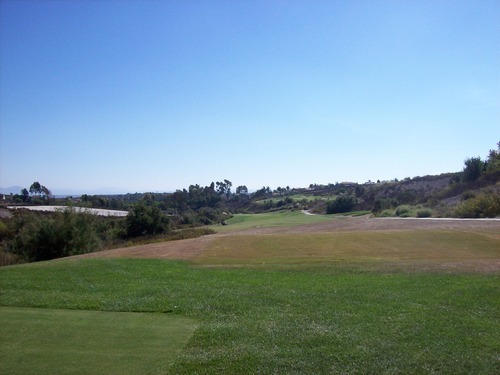 That killed a little time, but then I just decided to head over to Salt Creek and try my luck at getting out a little earlier than my tee time. Partly to kill time and partly to avoid paying a toll on the 125 (which would have been the recommended route to get from one course to the other), I took the “scenic” route on Proctor Valley Road. It was more of a straight shot, but turned out to be a dirt road most of the way. That was surprising, but it wasn’t bad at all and probably got me to the course quicker than the recommended (but less direct) route on the highways. It was about 10:30 when I got to Salt Creek, but it didn’t look super crowded out there so I was hopeful they’d let me on. The GolfNow hot deal times are pre-paid online, so I’ve had luck in the past when showing up early. Since I’m a single, it’s easier to squeeze me in and since it’s pre-paid, they don’t tend to look at the price I paid too carefully and therefore don’t try an up-charge me for a non-deal time. Basically, they were nice enough to let me out right away and paired me with another single. And though we teed off quickly and it didn’t seem too crowded out there, the round was anything but fast. We were stuck behind a steady flow of threesomes and foursomes and were waiting on every single shot. It didn’t help that we were both quick players and it always seems excruciatingly slower as a twosome or single behind bigger groups. At one point I remarked that the round probably wasn’t as slow as it seemed. However, when we finished it was about four hours and 45 minutes, which is much longer than I prefer. Luckily, the weather was gorgeous. It was not too hot and there was a cool ocean breeze all afternoon. I was really hoping to like this course, and though it had a lot to like about it, I wasn’t blown away by it. They bill the course as a links style layout amongst the canyon terrain and it definitely fits that description. The fairways are wide, the turf is fast and thin, the greens are big, the bunkers are meant to be punishing and there are very few flat lies on the course—all prototypical traits of a links design. The canyon elements are more for atmosphere. 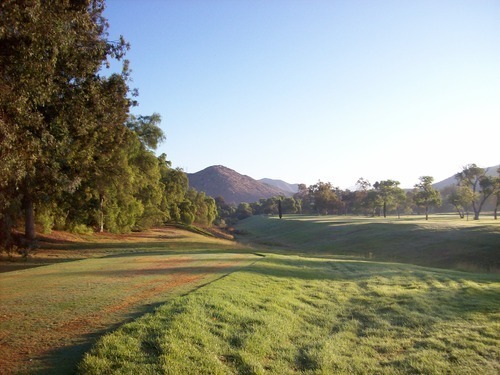 There aren’t too many forced carries or ravines to hit over like you’ll find at most other Southern California canyon country courses. That said, there are native grasses/bushes and environmental hazard areas framing all the holes—just enough to keep you honest. 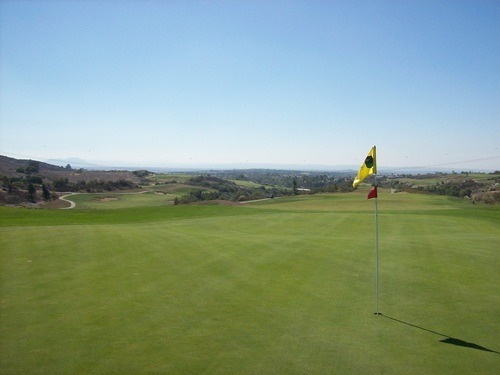 The layout is hilly and features some good changes in elevation and a handful of great views over the Chula Vista valley and even into Mexico in the distance. 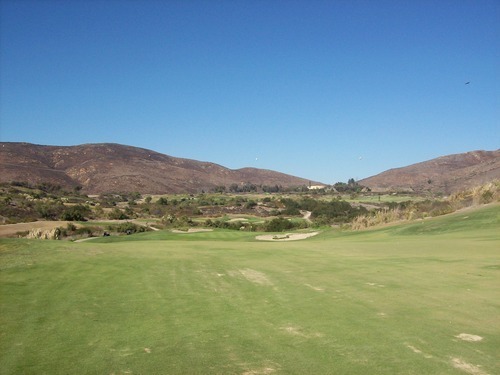 The fairways, though wide, feature a lot of sloping from one side to the other. So with the firm/thin turf, you have to be careful. You can expect a lot of extra roll out here and sometimes that results in trouble. 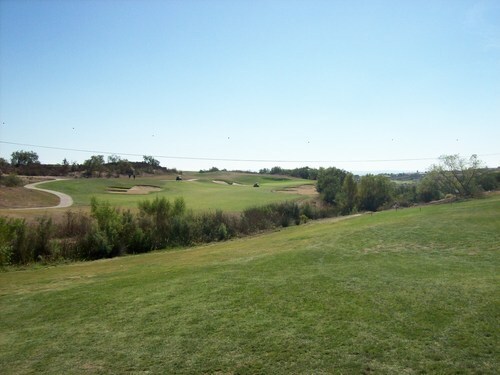 If you catch the right slopes, though, you can leave yourself with some really favorable approach angles and distances! Condition-wise, I was a little disappointed in Salt Creek overall. 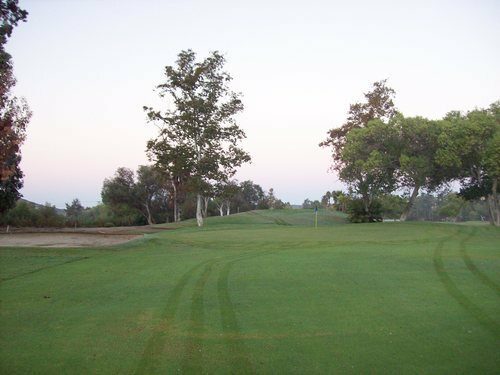 Though the fairways are expected to be firm, they were still a bit too brown and dried out for my liking—too thin in some areas and not as visually appealing. The rough is mostly non-existent, just more shaved down turf. So if you are off target, it won’t do anything to slow you down or prevent you from going into a hazard area. Some of the tee boxes were lumpy and unlevel. The greens, however, were excellent. They were well-manicured, rolling at medium-quick speeds. Receptive on approaches and rolling at medium-fast speeds. I was in two sand traps all day. The first was a greenside bunker. It was a bit crunchy and thin, but not too bad to hit from. The second was a fairway bunker on the back nine. I did notice on some other bunkers that they had the middle/flat areas pretty well packed down, but the areas around the edges were more ragged. The one I found resulted in one of the worst bunker lies I’ve ever had. It frustrated me greatly because I really wasn’t in a bad spot and should have had a good clear shot at the green from where I was. However, it was a lumpy mess of old footprints (nothing from recent play), grass clippings and tractor tire tracks. My ball was nestled in between a bunch of clumpy little mounds. I had no shot at hitting it out cleanly. My only hope was to advance it out a few yards. So my ultimate review of Salt Creek is that I liked a lot of the layout and the setting, but not enough to personally want to come back. Even if I knew the conditions were pristine, I wouldn’t be racing to drive all the way and play here again. 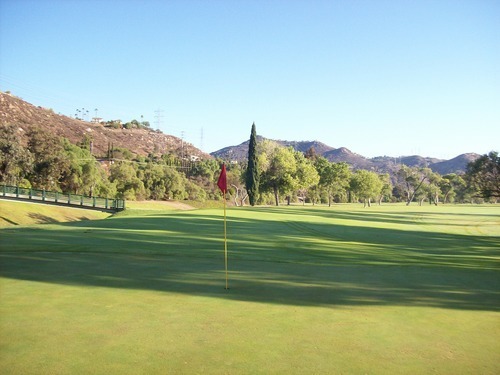 There are plenty of other canyon courses throughout SoCal I would play ahead of this one. If I lived closer to Chula Vista and got another good deal like I did yesterday, then it’s not a bad option. The highlight of my day happened as I was driving home along the I-805 freeway. The big Air Show was at Miramar yesterday. Luckily, I went through the area during a time of light traffic because the show was still going on. As I was driving, the Blue Angels were right in the middle of their performance. They buzzed over the freeway several times and were doing some really cool formation moves and crazy aerial acrobatics. Everyone driving on the freeway had their necks craned to watch the action (including me), which was definitely not safe with everyone going 70 miles an hour, but it was damn cool to see!